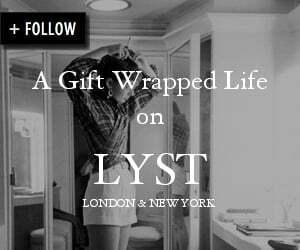 These are all so gorgeous - my Christmas presents are bought (I hope!) 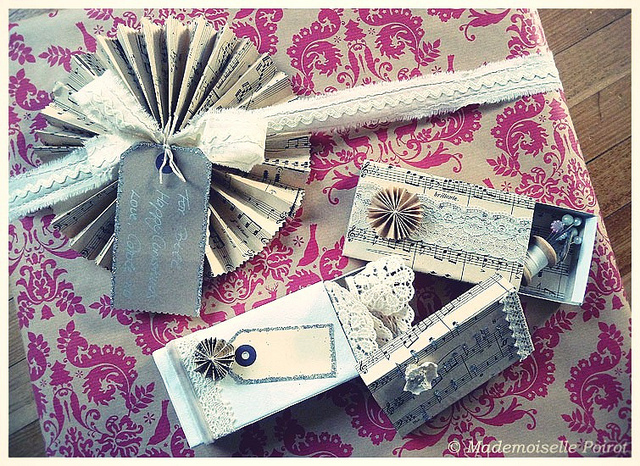 so it's gift wrapping tonight and I do enjoy making them look pretty so thanks for the ideas and links! Oh how wonderful - so many pinks - thanks ever so much for sharing these lovely ideas - wish I could start wrapping all my wrapped gifts all over again! So glad you like your gift wrap, Sande; love the pink with Gold...maybe next year!? What a lovely presentation from Andrea! All of these are lovely. 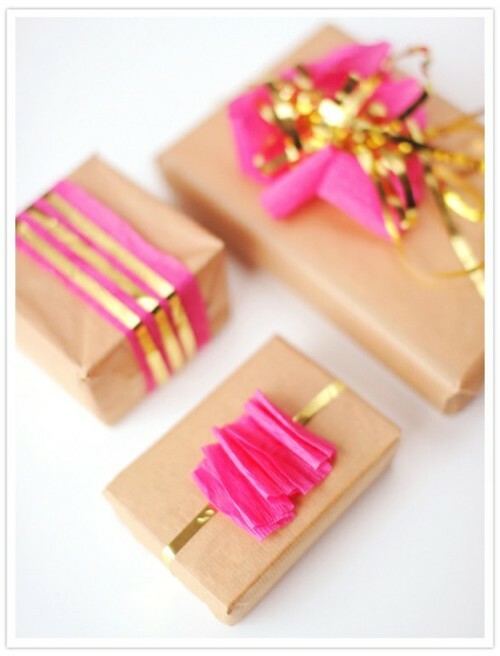 The simple paper with the gold ribbon and pink ruffled crepe paper is also quite pretty. 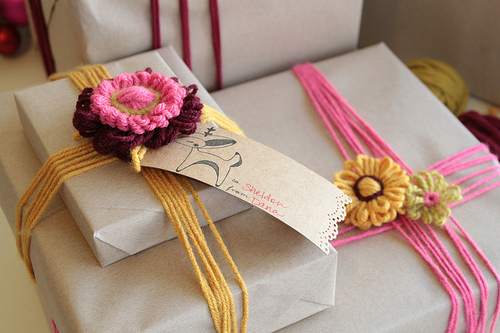 I love those crochet flowers, and they look really easy to make. Your ideas and finds are always a joy to see. 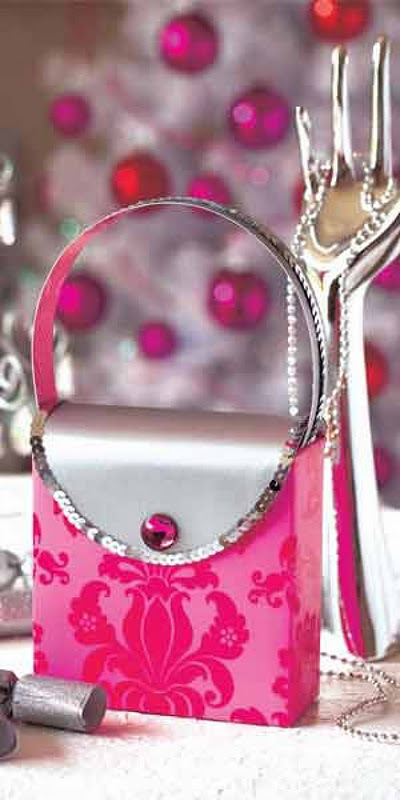 Can't get enough of bright pink- even at Christmastime!